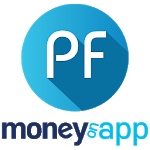 Wealth Creation app by MoneyOnApp is one of the easiest mobile apps which enables you to check your EPF balance via EPF Passbook/PF Passbook, check your PF Claim status, download PF related forms and much more. You can buy, track, manage - equity, hybrid and tax saver (ELSS) types of Mutual Funds straight from this app. It includes FAQs and News related to PF/Income Tax/Employee Benefits/Gratuity etc. 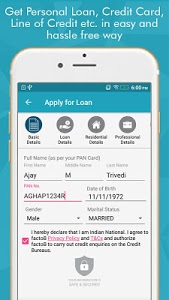 Quick, easy, useful and secure, MoneyOnApp is trusted by 1.5 Million+ users. Invest in Mutual Funds Online: Now you can invest and manage all kinds of mutual funds from this app. A mutual fund is pool of funds gathered from individual investors and being invested in company shares, bonds, stocks by asset managment company (AMC). Mutual fund is secured way to invest for any individual as it is being monitored by SEBI and managed by professional fund manager. Objective of mutual fund is to share resource among thousands of investors and collectively earn the highest possible returns on investments. UAN Activation (ACT UAN ): With this features you can activate your UAN by just providing UAN Number, Name, DOB and Mobile Number. EPF Passbook: EPF passbook is an online version of the PF status book, where employee’s PF status and transactions are recorded and tracked. Transactions made in the account are displayed in the epf passbook. It includes additional details such as name and DOB of the employee. 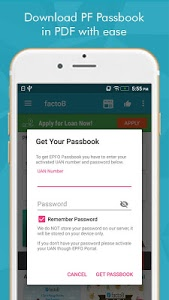 Download EPF Passbook: Provide your UAN no. and Password of EPFO portal to download EPF passbook. It will have the entries which have been reconciled at the EPFO. PF Claim Status: Provide your UAN no. to get information regarding EPF withdrawal or Pension claim status. 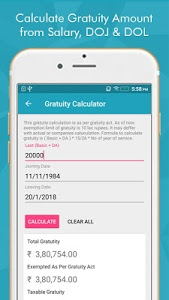 Gratuity Calculator: Calculate gratuity by entering your last Basic+DA, date of joining and leaving. SIP Calculator: Calculate Maturity and gratuity amount and Investment Period. Get Detailed Calculation with Schedule and chart. Download calculated PDF with detailed report. Save your calculation for future use. 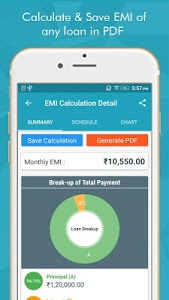 EMI Calculator: You can calculate EMI with graphical representation of loan and save calculation for future use. 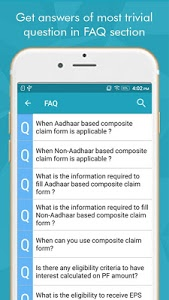 FAQs: Get answers related to PF, EPF, EPFO, UAN, AADHAAR, Gratuity and other Employee Benefits. 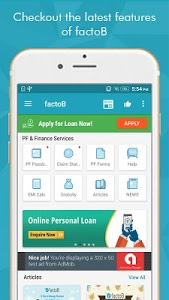 • This app is not an official EPFO App and has not any association with EPFO. • This app only acts as an interface. All information is loaded from other websites. 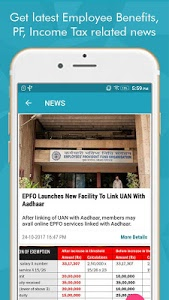 • This application is developed for convenience of app users to get all information at one single place. • We don’t take any kind of payment from users related to EPFO services. • MoneyOnApp or its affiliates will not be responsible for any harm, loss or damage arising out of information provided by this app. Similar to "EPF Passbook, PF Balance, PF Claim Status, ACT UAN"